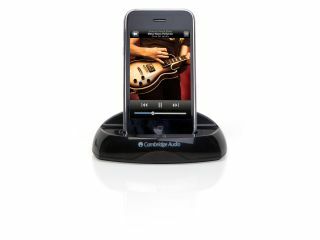 Cambridge Audio iD50 iPod dock up for grabs! TechRadar has teamed up with Cambridge Audio to give away five of its superb-sounding iPod docks. The iD50 is among the best iPod docks we have encountered. When we reviewed the system back in December, it was so good it warranted a five-star TechRadar rating. Complete with 'quasi differential noise cancelling' circuitry, the Cambridge Audio iD50 brings the best out of your iPod piping sound through its audiophile-grade output buffers, cleaning up the audio so your ears aren't harmed by the sometimes garbled sound MP3 files tend to make. Connections on the system include audio output on phono sockets, composite video and S-video, and RS232 for multi-room installations, and there's even the ability to link the dock up to your TV to use it as the display device. The setup also comes complete with a remote control. When it comes to overall performance from the iD50, as our reviewer puts it: "Lest you think we're imagining things, we also measured the performance and got figures that wouldn't disgrace any CD player." This competition is now closed. The winners are David Dean, Ian Cheyne, Natasha Krasauskas, Jenny Langley and Matt Brasier.